JUL 29, 14 .. ALASKAN ' SKI ' PLANES .. The below photos were taken at the Talkeetna Alaska Airport. Talkeetna is approximately 115 miles north of Anchorage Alaska. Climbing expeditions on Mt. McKinley often originate in Talkeetna and many of the mountain climbers are flown up to the first base camp on Mt. McKinley from the Talkeetna Airport. Talkeetna .. a small and charming village .. is well worth a visit. One of the most famous of all Alaska 'icons' are its ' Bush ' Planes. Allow me to quote from Wikipedia as follows ..
A bush airplane is a general aviation aircraft used to provide unscheduled passenger and freight services to remote, undeveloped areas of a country, such as the Alaskan tundra, the Canadian north (or bush), the African bush or the Australian Outback. They are used where ground transportation infrastructure is inadequate or doesn't exist. A 'Bush' Plane is extremely flexible in that one can land on the ground when configured with tires which will allow it to land on hard .. or relatively hard surfaces .. AND .. they can also land on the water and on the snow as well! Read on .. These two planes are deHavilland Canada DHC-2 Beavers. The Beavers are perhaps the most famous of all of the 'Bush' Planes. For all you have ever wanted-to-know about them .. please 'Google' .. deHavilland Canada Beavers. You can see that the planes in these two photographs are considerably smaller than the deHavilland DHC-2 Beavers. The wheel-equipped 'Bush' Plane .. can be and are .. re-configured into 'Float' Planes. I am NOT an aviator! But I imagine that landing either a 'float equipped' plane or a 'ski equipped' plane onto a concrete runway utilizing its wheels could be a real challenge! Below is another deHavilland Canada DHC-2 Beaver. WANTED: IF PER CHANCE a real ..honest-to-goodness .. experienced Alaskan aviator is reading along here .. which I truly doubt .. but if you are .. would you be so kind as to post a comment below at the end of this post telling all of us IF it is as difficult as I imagine it must be to land 'float equipped' and 'ski equipped' bush planes on concrete or other hard surfaces. Look at the size of its floats as compared with its small tires. Landing a 'Float' Plane IN THE WATER would not be so much of a big deal in my mind .. after all .. this is where they belong! I mean really! Isn't Alaska a beautiful place ! OK ! Lastly .. our same 'Bush' Plane can be configured with skis which will allow them to land on the snow! Below are more photos of 'Ski' equipped 'Bush' Planes than you ever-wanted-to-see ! Again .. I am NOT an aviator ! I can not quite fathom how these amazing aviators land their planes with floats and / or with skis on concrete or other hard surfaces ! But they most certainly DO JUST THAT ..
LOOK AT MY SKIS DAD !! Can you imagine landing a 'Bush' Plane on a concrete runway with skis affixed to your landing gear! You must look really closely at the above and the below photos to see that even the small rear wheels have their-very-own skis. Yet another of the famous deHavilland Canada DHC-2 Beavers. Look at the size of his skis! DO YOU ALL WANT TO GAZE UPON BEAUTY ? HERE BELOW IS BEAUTIFUL ! And I am NOT an aviator! You are looking at an absolutely spotless .. Pratt & Whitney Canada .. 450 HP NINE-CYLINDER RADIAL AIRCRAFT ENGINE! Now we move to one of the .. REALLY BIG GUYS .. in terms of Alaskan 'Bush' Planes .. When deHavilland Canada completed their development of the 6 passenger DHC-2 Beaver they moved up to the 10 - 11 passenger DHC-3 Otter. In terms of our pickup trucks .. the Beaver is more like a half-ton pickup and the Otter is a one-ton ton pickup. In the below photo is a deHavilland Canada DHC-3 Otter .. if you will .. please notice his cute tail-wheel ski! Here is a close-up of his tail-wheel ski ! Big Plane .. Big Skis ! One last look across the Talkeetna Alaska Airport ! "Dad! Oh Dad! You Promised Me Dad!" "Yes ! I sure did promise to show your photo to my followers !" He is NOT a 'Bush' Plane ! He IS a hot-shot radical specialized aerobatic stunt plane! Like they used to say in-the-movies .. In a few hours .. Patti and I will be .. God Willing .. flying south to Seattle Washington to visit friends for a few days. Then on Friday August 1st we will fly east to Detroit Michigan to spend three months in-the-east. On November 12th .. Patti and Godzilla and myself will .. the three of us .. fly to Hong Kong to eat Singapore Rice Noodles. JUL 27, 14 .. NENANA ALASKA .. In my four previous posts .. and in this post .. Patti and I were on a road trip from Anchorage Alaska traveling north to Fairbanks Alaska and then onward to Manley Hot Springs Alaska. After our visit in Manley we then returned south to Anchorage. The two of us left Anchorage Alaska Sunday evening (8PM) the 13th of July and returned to Anchorage early Monday morning (1AM) the 21st of July. EVEN IN THE RAIN .. going through yet-another-muddy-construction-zone .. MISS ALASKA is a stunner! In the prior four posts I have shown some scenes along the Parks Highway (JULY 14th .. INTO FAIRBANKS ALASKA) .. of Denali National Park and Preserve (JULY 14th) .. of our cabin in Manley Hot Springs (JULY 13th ..TIME FOR A SHORT ROAD TRIP) .. and of the Alaska Veterans Monument (JULY 24th). Ah yes my Dear Miss Alaska .. just for you I will slip-in a few more photos of you when your SUN-WAS-OUT ! This post will wrap-up our trip with some scenes of the small village of Nenana Alaska. The name Nenana comes from an Athabascan word meaning 'a good place to camp between rivers'. The Tanana River and the Nenana River join immediately downstream of the Nenana Bridge. Nenana is approximately 50 miles south of Fairbanks and it is one of my major 'touchstones' or 'land-marks' as I travel the 375-mile journey up and down the Parks Highway. I drive out of Anchorage looking to reach Talkeetna Junction .. a 100-mile two-hour drive north. Then I 'look for' Cantwell another 112-miles north and about five-hours out of Anchorage. Next up is Denali National Park and Preserve .. and finally Nenana Alaska immediately before Fairbanks. THE NENANA BRIDGE OVER THE TANANA RIVER defines Nenana for me .. when I see THE BRIDGE .. I KNOW I am almost to Fairbanks. Looking north up the Parks Highway at THE BRIDGE! The below photo 'looks-down-upon' the Village of Nenana .. the bridge in the distance is a railway bridge over the Tanana River. The following photos of THE BRIDGE .. were taken looking south coming from Fairbanks heading to Anchorage. Having now shown you THE BRIDGE .. I will go back to the southern edge of Nenana and show you another of my special places .. the Nenana 'A' Frame building and Chevron Convenience Store. I can NOT tell you how many times I have slept overnight at this location .. nor how many bags of popcorn I have popped in their 'micro-wave' and eaten going south nor how many hot dogs I have ingested going south. Going north I know I will eat in Fairbanks so .. unless I am going to sleep overnight here in Nenana in my truck .. I usually wait to eat in Fairbanks. Can you all see my white Chevrolet Suburban on the right side of the below photo? The below photo looks back (north) from the other side of the store. Now lets look at the Nenana Visitors Center .. which is located just-across-the-highway from the Chevron 'A' Frame store above. In the background on the left side above is a 'Tripod' .. I will get to what a 'Tripod' is further below in this post. Behind the Visitor's Center is the tug boat THE TAKU CHIEF ! The Taku Chief is a relic dating back to Interior Alaska's steamboat days a time period of about 30 years. Tug boats were used to move barges loaded with supplies destined for villages in the Interior as they navigated the Nenana, Tanana, Koyukuk and Yukon Rivers. And still on-the-grounds of the Nenana Visitor's Center .. and behind the Taku Chief above .. is the below monument to the Alaska Territorial Guard. I have 'snuck-in' the below photo taken at the Alaska Veteran's Memorial that honors the Alaska native veterans. Sorry ! I get a little (or a LOT) 'choked-up' when I think of what we owe those who gave-their-all so that we all are able to live free ! Stories abound about the native-language speakers who completely fooled our WWII enemies who could not decipher nor translate their communications in their mother-tongues in life-and-death combat situations. Now looking directly across the street from the Visitor's Center is the below building .. with yet another 'Tripod' beside it. Now to the 'Tripods'. First this word is a mis-nomer. The Tripods actually have FOUR legs not three legs as the word 'Tri' implies. Each year .. during mid to late February .. the local citizens of Nenana set onto the ice of the Tanana River .. a Tripod similar to the two that you have seen above. The Tripods are set onto the ice (which will be approximately 36-inches in thickness) of the Tanana River just upstream from THE BRIDGE that I have shown you above .. and directly behind the building you see in the photograph below. Welcome to the Nenana Ice Classic! Guess what? IF you want to know-more-than-you-want-to-know about this event .. just visit your friends at 'Google' and enter .. Nenana Ice Classic! My goodness .. what would we all do without 'Google'! Then .. from all over the State of Alaska .. and from elsewhere as well .. people make an educated or a non-educated guess as to the exact time in the spring that the Tanana River ice will melt and allow the 'Tripod' to go into the river. In general .. the ice-goes-out from very late April into the first and the second weeks of May. This being said .. the ice has gone out as early as April 20th and as late as May 20th! As you can see in the below photo .. the winner(s) of the Nenana Ice Classic can win some BIG BUCKS! I write winner(s) plural because people can have an identical winning time and people also will join-in-a-group to split the winnings IF one of the group has the winning time. Oh Yes! Stories abound of some friction amongst groups of people in such a 'pool' when one of them had the lucky guess. Can you imagine that? Below is the building on 'A' Street that houses the headquarters of the Nenana Ice Classic. Well .. what else have we in Nenana Alaska .. how about a United States Post Office! And of course .. St. Marks Church ! St. Mark's Church is on Front Street. Patti enjoyed a quiet moment inside of St. Mark's. The three below photos show views looking up and looking down 'A' Street .. the main street of Nenana. At the very far end of the street in the below photo .. even past the bus coming down-the-street towards us with its lights on .. is the Visitor's Center and across the street the Chevron 'A' Frame building I have shown you above. Directly straight ahead of you below is the historical Nenana Railway Station or Depot. The railway station is on Front Street .. I was standing on 'A' Street as I snapped the above photos. In the below photo do you all see .. taa-daa .. THE BRIDGE in the right background. Please notice the two flag-stone monuments in the foreground of the below photo. I will show a close-up view of them later. Now we will go back upon THE BRIDGE and .. looking down upon Nenana .. ask you to find the railway station in the below photo taken from THE BRIDGE. Do you all see it? Dead center and then a 'smidgen' to your left and up. 'Zilla! What would I possibly do without your ever inquisitive inquiries as you sit on my left shoulder as I write away here!! Before we take a quick visit inside .. lets look at the historical plaques you see in the photo (two above) of the station's right side. Inside we go .. let's all have a short look-see inside the historical Nenana Railway Station. Precisely as it looked in our grand parents day. Now for a short personal story. In the below photo .. one you have already seen .. please note off to the right .. the lovely 'watering-hole' known as Jester's Palace .. do you all see it? "Yes 'Zilla? A hint?" .. look for the blue roof and purple walls with yellow signs .. I knew you'd get it my friend ! Again .. we are looking down 'A' Street ..
Much of rural Alaska was 'developed' by expanding existing buildings. Below are two photos of the 'original' Jester's Palace showing the connection with the 'new and expanded' Jester's Palace on the right of the original building!! A few years ago .. as I was crossing the mountains between Fairbanks and Nenana .. heading south for Anchorage Alaska .. I had Patti on my cell phone telling Patti of my location. Suddenly my cell phone WENT TOTALLY DARK !! KAPUTZ !! DEAD !! It was NOT out of battery power .. it was fully-charged .. it was DEAD !! It was about 1AM in the dark of a snowy and bitter-cold Alaskan winter night. I knew Patti would be next-to-frantic at my suddenly being cut-off in mid-sentence. "Did Cap get into an accident? What happened?" Into Nenana I rolled .. "What-to-do?" I mused. Well I turned onto the main drag of Nenana and as I motored north on it WHOA! Look at that JOINT !! Man alive it is rocking and it is rolling! The Jester's Palace? Oh Come On .. You Have Got To Be Kidding Me! So into the Jester's Palace I walked. The joint was not only rocking-and-rolling .. the joint was PACKED .. shoulder-to-shoulder patrons .. boys and girls. What on earth do YOU do in the middle of the long and the cold and the dark winter nights in Alaska? Uh Captain? You could tune into KIAM 630 Radio and hear about the Gospel? Uh Captain? You could go to .. shall we say here .. one of your .. meetings? Up to this 'dude' I walked .. I showed him my dead cell phone .. I told him about Patti in Anchorage and my 'predicament'. Quicker than Jack-Flash .. my MAN pulled out his cell phone (it actually was one of those so called 'smart phones') and said .. "Pard! Talk Away!" After he showed me how to talk-into-a-smart-phone .. I did and Patti was so relieved to know that I was safe. The two of them spoke briefly. Let me tell you all .. JESTER'S PALACE in little ol' Nenana Alaska will always occupy a special place in my heart! The below building .. one sweet place-on-this-good-earth .. also occupies a very special place in my heart-of-hearts. I want you all to meet .. KIAM 630 AM .. YOUR Gospel Voice Of The Alaska Wilderness! Hello Rick .. Hello Kathy .. Hello Brian ! Have you all heard of the term 'Mukluk Messages'? I thought so .. guess I will have to stop-right-here! "No 'Zilla? Don't stop now? YOU are not familiar with 'Mukluk Messages'?" What would I do with out you my friend. Here in rural Alaska there are many people who live VERY remote lives. Many can and many do get radio reception. "What-to-do to contact your friends out-in-the-wilderness?" Thought you'd never ask! Why you just dial-on-up Radio Station KIAM in Nenana .. KIAM is located at 630 on your AM radio dial and you leave a Mukluk Message. Then Monday through Saturday .. at 10:10AM .. 2:10PM .. and 9:10PM .. you can hear-yourself-talking as you have left a Mukluk Message for your friends and family. What's that Gullible? Congratulations to me on NOT dividing this post up into four individual posts! It only took me two full days of fiddling before I finally figured out how to get Shaddy's web site posted on my site here. I also got the 'labels thing' figured out at the top of the right margin. Notice the 'link' at the top of the right margin that I added for you following along here to click-onto to see our travel plans. Yes Shaddy? You can see that I DO KNOW about the challenge of .. what-to-do with all of these photos! You Shaddy just keep snapping-away. We love your posts. 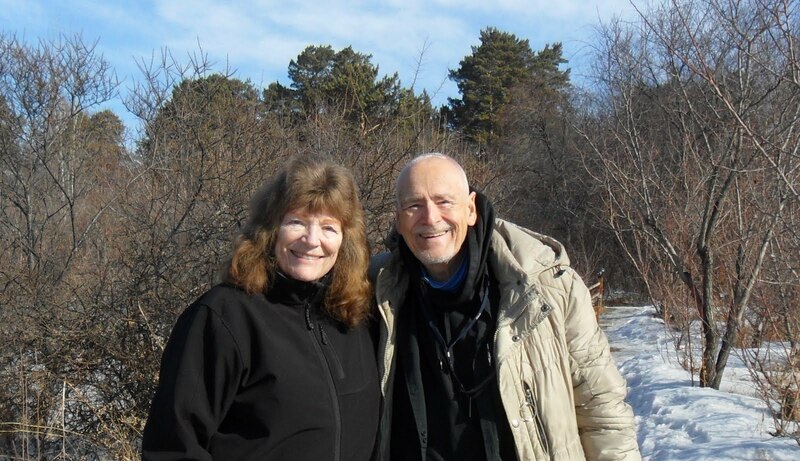 Smiles from Cap and Smiles from Patti .. we will sign off here and get really serious about our upcoming trip! JUL 24, 14 .. THE ALASKA VETERAN'S MONUMENT ..
JUL 14, 14 .. INTO FAIRBANKS ALASKA ..
JUL 13, 14 .. TIME FOR A SHORT ' ROAD TRIP ' ..
JUL 10, 14 .. WHAT ON EARTH IS THIS ?? JUL 3, 14 .. TAKE ME OUT TO THE BALL GAME !